CHICAGO – February 7, 2019 – Associated Bank announced the completion of an $11,245,000 loan to Shorewood Development Group to refinance an existing land acquisition loan and provide funds for the construction of The Shops of Buffalo Grove in Buffalo Grove, Illinois. The Shops of Buffalo Grove is a 25-acre retail development that will be shadow-anchored by the area’s newest Woodman’s Market and a stand-alone Chase Bank at the highly-trafficked intersection of Milwaukee Avenue and Deerfield Parkway. The development, which will consist of two buildings totaling 36,007 square feet, will serve the communities of Buffalo Grove, Riverwoods, Lincolnshire, Deerfield and Wheeling. 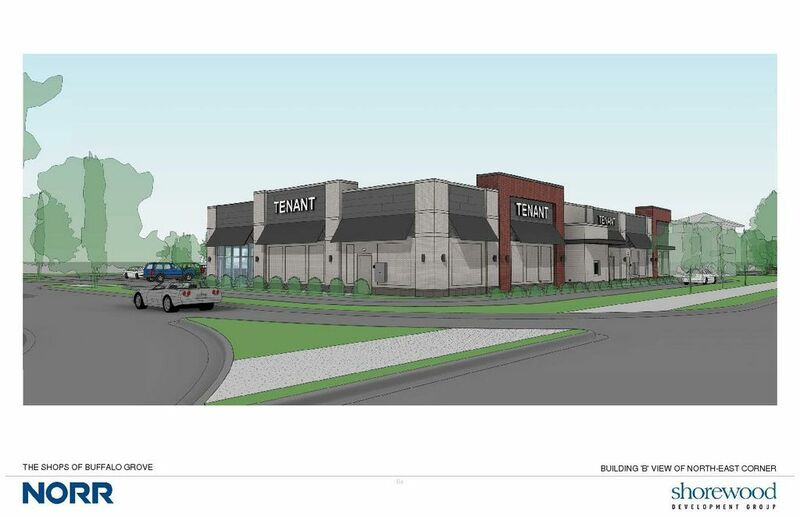 Existing signed leases include Starbucks, T-Mobile, Mod Pizza, Panera Bread and Great Clips. Tenants are expected to be open for business in the spring of 2019. This is Associated Bank's 10th loan to Shorewood Development Group. Shorewood specializes in repositioning existing buildings and ground-up construction of retail projects, leveraging relationships throughout the Midwest in both the real estate and investment communities. Partners Aaron Roth and Louis Schriber, III founded Shorewood in 2007. Daniel Barrins, a vice president with Associated Bank’s Commercial Real Estate division, originated the loan. Headquartered in Chicago, Associated Bank’s Commercial Real Estate division is committed to providing commercial real estate developers/owners/operators with an array of financing solutions, in addition to products and services that meet their unique needs. Associated’s Commercial Real Estate division has offices in Illinois, Indiana, Michigan, Minnesota, Missouri, Ohio, Texas and Wisconsin.